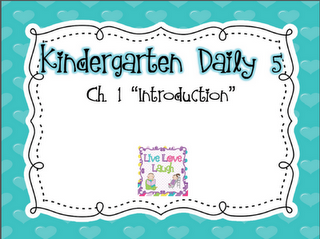 Hey, I hope everyone has their book and has decided to join my pal, Tammy, over at Live, Love, Laugh Everyday In Kindergarten as she leads us through our Daily 5 Book Study just for kindergarten. Tammy offered up some guiding questions in her initial post about chapter one. I hope you had a chance to down load her guide and take advantage of her questions to guide you through our first chapter. The interesting thing that occurred to me as I read through them were that they were the same questions and concerns I had to address when preparing my class for differentiated instruction. For most kindergarteners and certainly in my classroom, showing or telling a child once is never enough. I find that by modeling, practicing, modeling, practicing and modeling and practicing some more . . . eventually new behaviors can develop. When old behaviors show up, we stop and start over by modeling and practicing until we are back on track. I try to make sure that these behaviors are demonstrated in order to address the learning profiles of auditory, visual and kinesthetic learners. In order to get ‘buy in’ with kindergarteners, it’s important to make them part of the process of developing expectations. By guiding them through the process, they usually come up with the ‘right’ answers. Once everyone has developed and agreed upon the expectations of the class, I feed into their egos. Kindergarteners love to play make believe and most love to preform. When I teach what I expect of them, it is always really effective to allow students to demonstrate, model and role play a child meeting the expectations of the classroom and also a child not demonstrating the expectations of the class. I believe that kindergarten teachers have this ability to see everything going on in every corner of our room. At least that’s what we like to believe. My room is very open so I can usually tell with a quick glance who is doing what they are suppose to be doing and who isn’t. I also do alot of partner or group work so that students become accountable for each other. Generally, when students chooses to not demonstrate the desired behaviors and expectations of the class, I let them know that it’s a sign to me that we need to practice those behaviors again. Take a look at my classroom layout below. You will notice how much space is devoted to me in this classroom. . .very little. I don’t even have a desk. My space is so minimal. I really believe that any space I take for myself is space that is only borrowed from my students. I have learned to be compact in order to make room (in my tiny little classroom) for all the activities I want them to be able to do. I admit. I have a treasure box. But I also celebrate everything in my classroom so I feel like it all evens out. With differentiated instruction, I have to have materials as accessible as possible for students or I would be chasing down dice, pencils, dry erase markers . . . you name it . . . all day long. I established a routine a long time ago of making materials accessible to students so I wouldn’t loose valuable teaching time. Here’s a couple of examples of what I do. I wish I could tell you where I got the printables for the book hospital and extra items labels but for the life of me I can’t figure it out. If you know, drop me a line so I can give them credit. So that’s it for chapter 1. I’m off to read chapter 2 again and looking forward to sharing again next week. Who knows, I might even come up with a couple of freebies for you by then. Drop me a line and let me know how its coming along for you. Things you’re questioning . . . great ideas you might have. I’d love to hear from you. 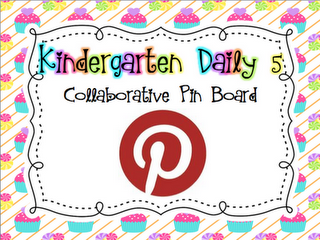 And don’t forget to check out our bookstudy pin board for other great ideas to go along with this study. 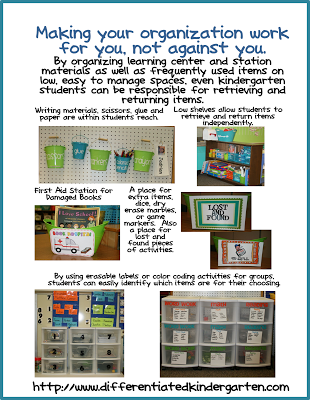 I love your classroom organization, Marsha. I agree with you as far as trying to keep my teacher space small. I use my guided reading table as my table and I share my computer with the children. You classroom lay out is interesting. I don’t know if I could go without tables for all the children to sit at. Sue, it probably doesn’t look like it, but my small group tables seat about 5 students so there is a place for everyone if needed. However, I seldom have them all sitting at a table doing the same thing and they definately don’t have assigned seats. All the tables actually double as center locations. 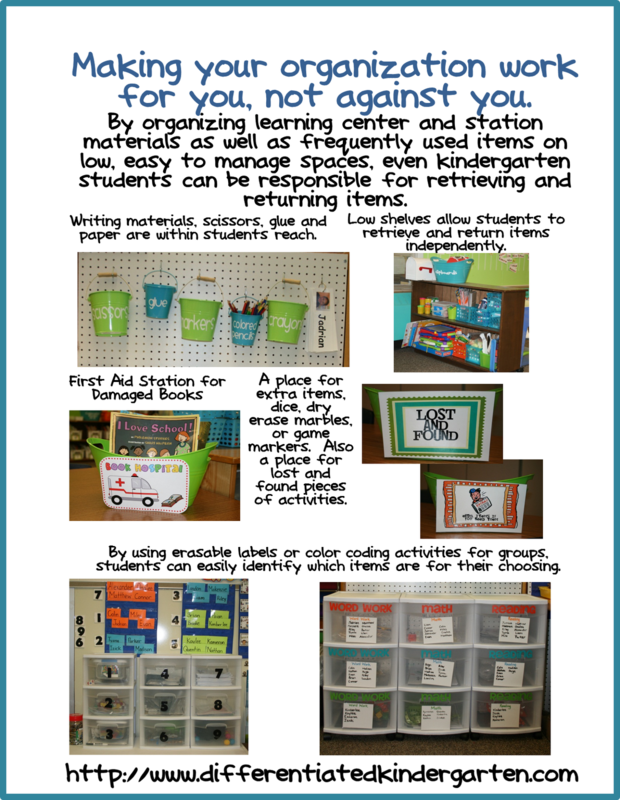 Students can pull out a drawer of materials that apply to them and they go to the science, math, work work etc. table to do their activities if it’s seat work or a game that needs a table. Hope that’s not too confusing. I love your blog and I love the book hospital – what a time saver (and it allows students to solve their own problem!!) This blog is consistently a source of inspiration for me as I try really hard to be the kind of teacher that differentiates all classroom work. I wish I could take credit for the book hospital but for the life of me I don’t know where I got it. I’m not even sure if I saw it somewhere and then made something to fit my classroom it’s been so long. It does save time though. Your classroom floor plan reminds me a bit of my own. I LOVE to look at how others set up their rooms! Thanks for including this. 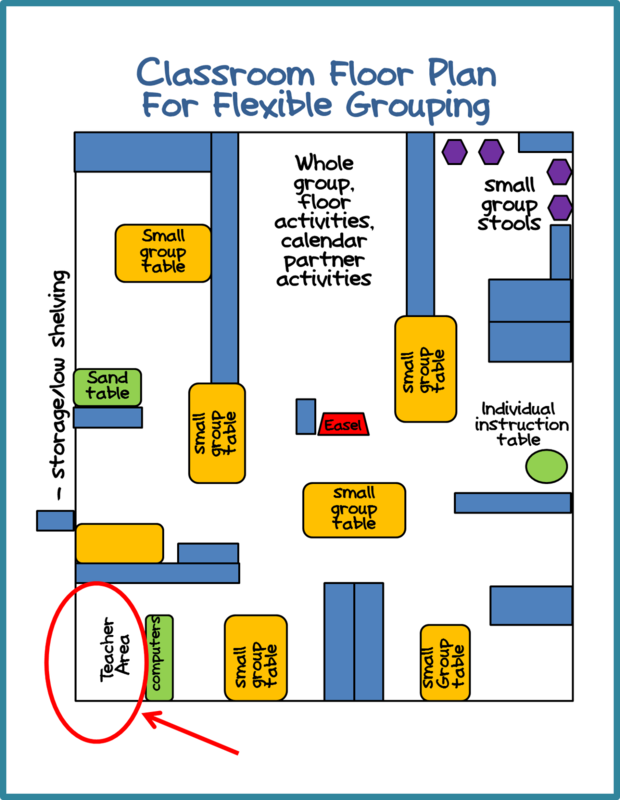 =) I also use my tables as center locations but my parents seem to struggle with this idea at the beginning of the year. They also expect an assigned seat for their little one when they come in at open house. This continues to be a struggle for me but I do my best to explain and they seem to understand as the year progresses. I just tell parents that my students are kindergarteners and they need to move. I also explain a little bit about flexible grouping and how NOT assigning seats makes that more feasible. It seems to work. Plus each student has a mailbox to use as home base for thier papers to take home and the like. Other than that, our supplies are community owned and they have a hook for their backpack so they don’t really need an assigned seat. I think sometimes parents have a picture in their minds of what a classroom should be like based on their own experiences but it’s changed so much that the reality is very different. Good luck. I love how you set your classroom. Sure makes it great for those small groups! I am curious as how you run your day! I would love to do more small groups during my math block. I have started to do that at the end of last year and loved it! I’m one of your newest followers! I LOVE that Jeannie. You’re kids should certainly take to Daily 5 easily based on your classroom culture don’t you think? Thank for linking up Marsha! I couldn’t agree more about these little Kinders “buying in!” They remember when you create things together and we refer to our anchor charts all year long! LOVE the Book Hospital and the Lost and Found bucket. I am definately going to do that! I too have tables in my room and I love the colaboration that goes along with it. There are so many things you can do with your kids when they sit in tables. I am so excited to get to link up with you guys and get everyones ideas for the D5. I’m glad you decided to join us. It will be fun to collaborate with other kindergarten teachers to see how they adjust and tweek Daily 5 to work for them. 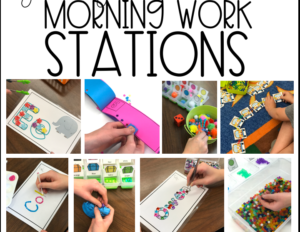 I love your classroom set up…and I do NOT have a teacher desk, as it takes up a good amount of room(and really when does a kindergarten teacher get a chance to sit at a desk…smiles)! 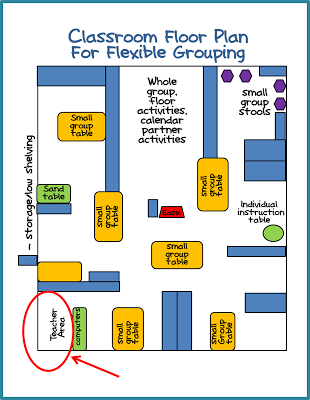 I love how you incorporated your tables into your centers…I plan on doing this in my room this next school year. Do you have social centers: home center, blocks, art, etc? Do you eat snack in your classroom? If so do you just have them go to one of the tables in the centers?